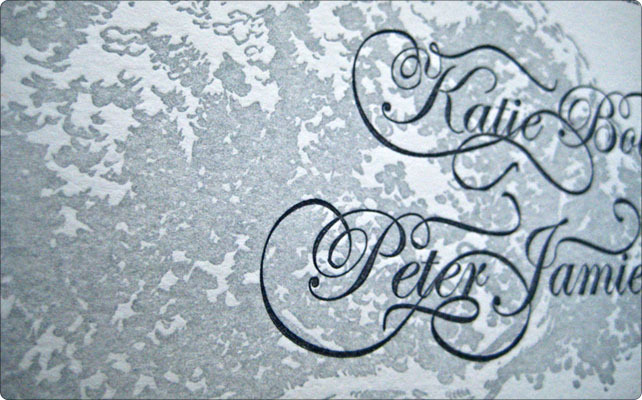 This is a custom invitation we did for Katie and Peter. This is a good example of our à la carte pricing, which allows couples to pick and choose pieces to suit their budget. 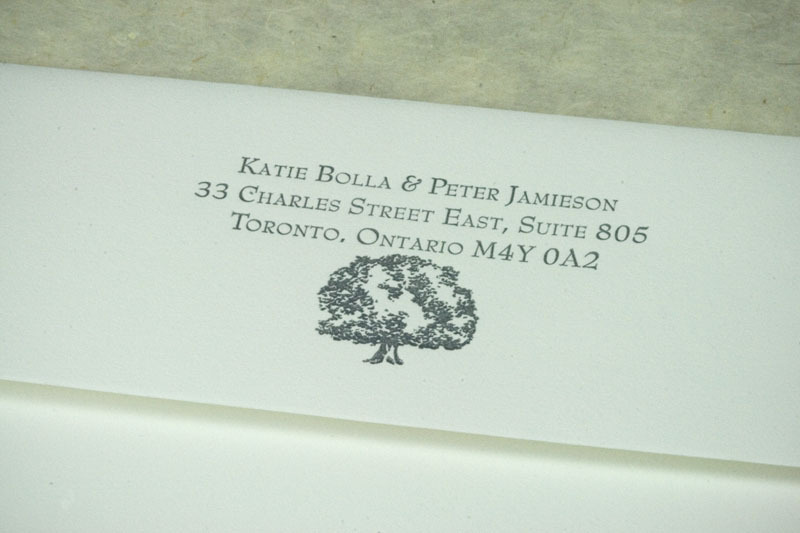 Katie and Peter really loved letterpress, but couldn’t afford to get their whole set through us, therefore they opted to have only the announcement and the outer envelope done by us. 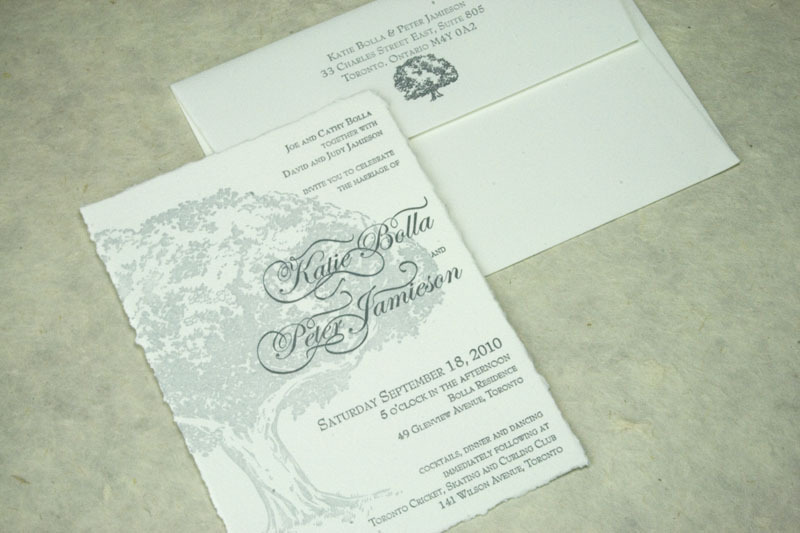 We were very glad to hear that they wanted an illustration-heavy invitation, since that’s our specialty! They wanted a large tree with lots of foliage to fill most of the page. 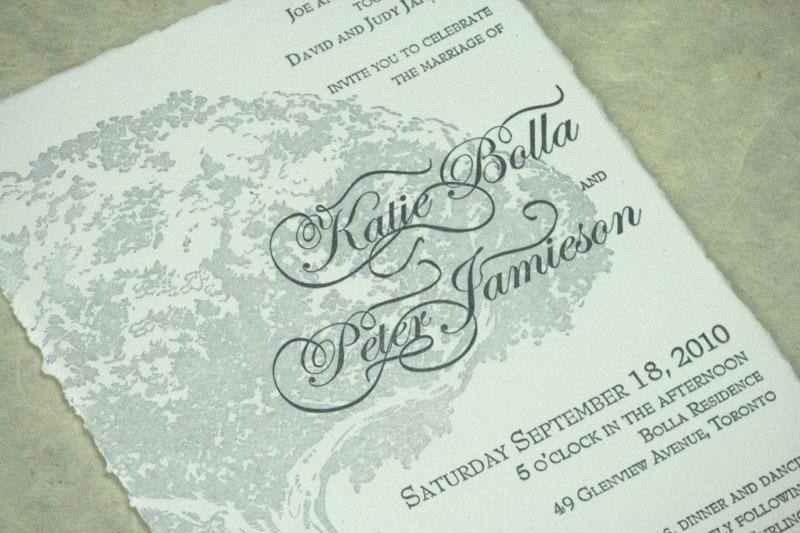 This two-colour invitation is printed in 2 shades of grey on pearl white 100% cotton Crane Lettra and features deckled edges! First we sent Katie and Peter a rough pencil sketch, then we finalize the illustration in ink and finally add the text digitally and create a final digital proof. Future congratulations to Katie and Peter!